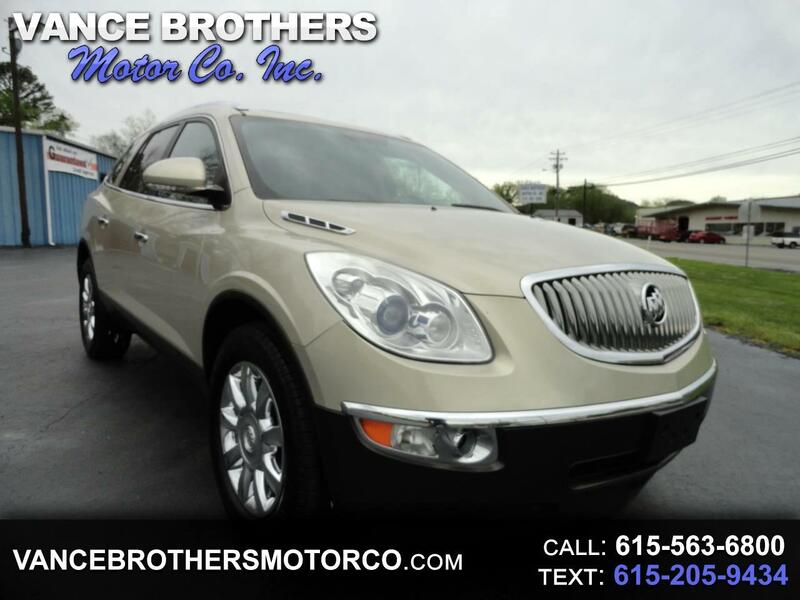 Used 2011 Buick Enclave FWD 4dr CXL-1 for Sale in Woodbury TN 37190 Vance Brothers Motor Co. Inc.
2011 BUICK ENCLAVE CXL. WE FINANCE! ASK ABOUT OUR GUARANTEED CREDIT APPROVAL PROGRAM! Nice Enclave with options that include 3.6 liter engine, automatic transmission, full power, sunroof, back up camera, third seat, rear captain seats, center console, tachometer, CD, duel air bags, rear defrost, power lift gate, and chrome wheels with Michelin tires. This is a nice SUV. Call today! Warranty available. VANCE BROTHERS MOTOR CO INC FAMILY OWNED AND OPERATED. Visit our website http://www.vancebrothersmotorco.com for more information and photos on this or any of our other vehicles or call us today for a test drive at (615) 563-6800 or text 615-904-5047. Vance Brothers Motor Co. Inc.